Is there anything more gross than maggots? People don’t like the sight of them and very few are wiling to touch them. The thought of eating them may cause convulsions in some people. Yet, maggots may be the answer. As repulsive as they are, maggots are an answer to our food waste problem while at the same time they are an answer to healthier livestock feed. Each fly larvae can eat twice it’s weight in food waste each day. They will eat just about anything from meat to vegetables. And, they multiply quickly. This makes fly larvae a highly competitive feed and feed additive for livestock. These animals (insects are animals) eat proteins and fats from our food waste and deliver it to the livestock we eat. To complete the cycle, waste from the larvae is great fertilizer delivering nutrients back to the soil. It’s a beautiful cycle. So, why do we dump food waste in landfills when it can be a valuable feed resource for farmers and ranchers? 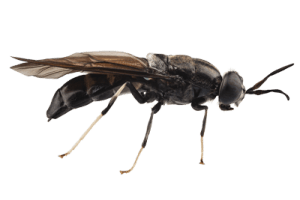 The Black Soldier Fly is native to the United States and is currently being farmed successfully. Salmon fed the larvae not only readily devoured it, they grew substantially larger than they did on a diet of fishmeal. 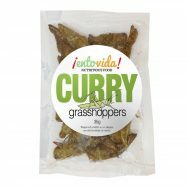 So, why not replace fishmeal (made from harvesting anchovies, herring, menhaden, anchovy, sardines, and mackerel) with a sustainable source of insect larvae grown on our over-abundant food waste? At this time, the dried fly larvae has only recently been approved as Salmanoid feed (Salmon and Trout). Yet, it has great potential for poultry, pork and as a protein packed ingredient for other livestock feed. Please help raise awareness. 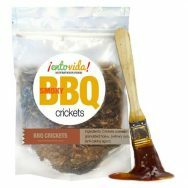 Insects will combat our food waste problem by being a healthy and sustainable livestock feed source and an effective soil fertilizer. It will reduce over-fishing of feeder fish. So, it would seem that the only reason this is not happening is because people think maggots are gross.